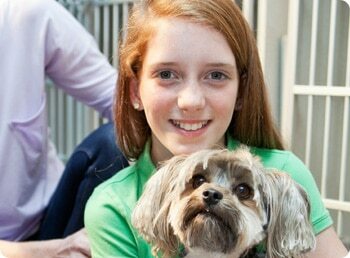 Best ideas for daycares, elementary, high schools, colleges and more. 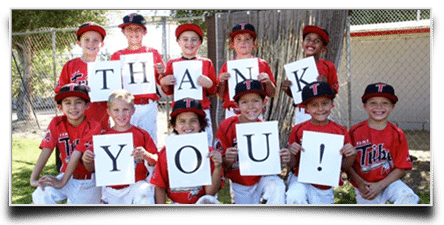 Raise money for your team’s equipment, travel, tournaments and uniforms. 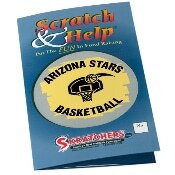 Raise funds for your favorite charity, family reunion, scouts or other. Fundraise for mission trips, choir robes, renovations, and youth projects. 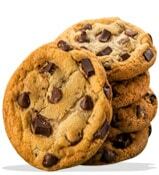 Our cookie dough comes in 12 delicious flavors, made with the finest ingredients. 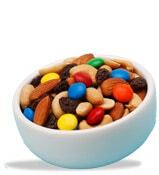 A wide selection of delicious nuts and snacks your supporters really crave! 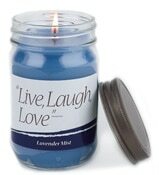 Our quality scented candles are made in the USA; nicely labeled and gift-boxed. 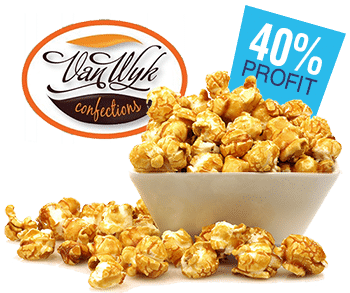 Our delicious popcorn fundraisers are some of the easiest to sell! Fun and easy way to collect donations and earn up to 90% profit! 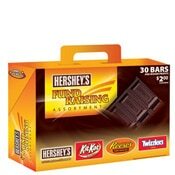 Quality chocolate bars that are simply perfect for groups of all sizes. 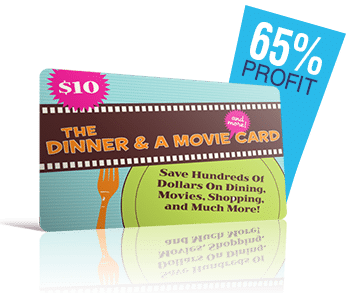 Select from 3 of the top discount card fundraisers in the industry. Crazy shapes and irresistible flavors. Something for everyone. Our frozen cookie dough makes the most scrumptious home-baked cookies in all of fundraising. 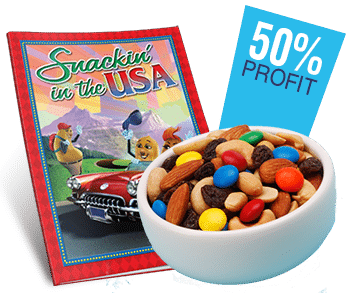 Snacking is America’s second favorite sport! Sell collection of 20 salty, sweet, sour, spicy snacks. Slam dunk fundraiser for any motivated team. Supporters scratch to reveal donation, get coupons. 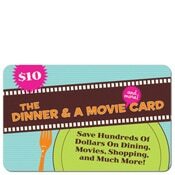 Gives supporters up to 50% off at over 100,000 restaurants, theatres and other stores, nationwide. 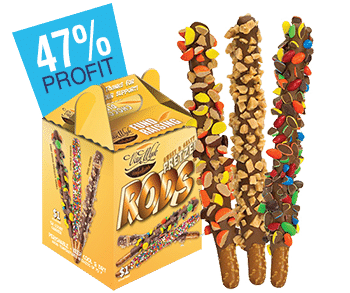 Salty pretzel rods dipped in chocolate and rolled in candy! Newest, hottest $1 seller in fundraising. Peanut-free candy bar fundraiser comes in 5 delicious flavors and made with premium chocolate! T-Shirts are a great way to raise awareness and boost spirit for your organization. 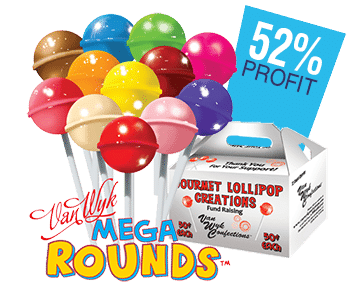 Beat the Heat, Pop the Profits! This popcorn fundraiser has 7 delicious flavors, like caramel sea salt, and is MSG and GMO free. 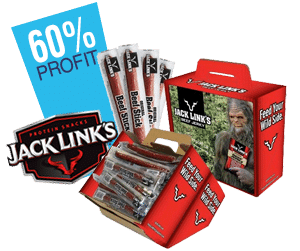 Jack Links $1 beef sticks are a healthier alternative, made of pure beef, seasoned to perfection. 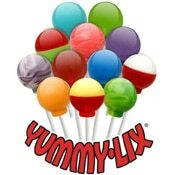 12 delicious flavors like cotton candy and wild cherry. Individually-wrapped, flavors printed on sticks. Not only do quality fundraisers sell more easily, but they also create happy supporters and build the best reputation for your organization. Every group and cause is different so our huge selection of ideas ensures we have the perfect fundraiser to meet your fundraising needs. We care about fundraising just as much as you do! Call or email us and we will happily guide and support you throughout your fundraiser! We have over 20 fundraising programs that have no up-front cost and the majority of our fundraisers have free shipping! If you find a competitor that has a better price, we’ll match it and send you an extra $500 worth of fundraising products! Our Boys Raised An Easy $2,330! Learn how to best organize your fundraiser from A to Z, and smash your fundraising goals! Check out these powerful ideas and strategies that turned their fundraiser into a huge success! Every group is different, so we’ve provided a list of fundraiser ideas and suggestions. 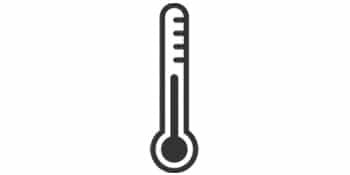 Add our thermometer widget to your site to keep your sellers motivated throughout your campaign. Recycle Printer Cartridges: there are many companies that will purchase your used cartridges. It’s a great way to be green and raise green at the same time. Create Your Custom Cookbook: have each of your seller’s parents put together their favorite recipe(s). You can put it together yourself or have it professionally done with a company like X. Sell them for $5-$20 each. Raffles: get local merchants to donate prizes, a local printer to sponsor the printing of your raffle tickets, and make sure you have at least one major wow prize such as a trip or tickets to a professional sporting event, along with other unique and cool prizes. Sell tickets at $5 to $20 each and give each seller a quota of tickets to sell to ensure you reach your goal. Car Wash: On a hot day find a good location with high traffic. Consider asking your busiest local shopping mall. Why not sell refreshments and baked goods while they wait? Spaghetti Dinner or black-tie dinner: Everyone looks for an excuse to get out of the house and have dinner cooked for them. Have the finest chef you know prepare a wonderful meal. You can tie this in with a silent auction as well, for a profitable evening. 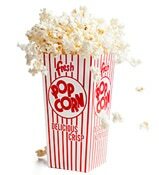 Movie or Playoff Game night: Invite your school’s students and families to pay $1 each to view a choice kid’s movie or an exciting NFL, NBA or NHL playoff game in the school gymnasium or Amphitheatre. Let the kids where their pajamas for extra fun! Poker Tournament or Casino Night: your supporters will buy tokens, try and get prizes sponsored. Bingo tournament: Have local merchants provide prizes. Charge for entry and for each bingo card. Charity golf tournament: More ideal for larger groups. You can raise money with an entrance fee, sponsored holes, hole-in-one or closest to the hole contests. It’s important to negotiate low pricing with the golf course to maximize your profit. School Carnivals: Like many other event fundraisers, carnivals require a lot of volunteers. Have rides, games, food, contests, clowns and more. Invite the whole community – charge an entry fee and then come up with creative ways to get them to spend even more, like teacher torture, cake throwing, and the ever popular dunk-the-principal! 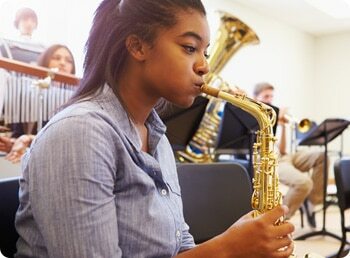 Talent Shows and Art Exhibitions: these are two possible ways to get your students to learn or develop a skill throughout a semester, while preparing for the big show. Raise funds by charging an entry fee, and possibly selling some art. Smarties in a Jar: charge $.50 for 1 guess or $1 for 3 guesses. They can win the jar of Smarties and or other prizes. It’s fun and it raises good money at a minimal cost and risk. Silent Auctions: these are usually great to tie in with other event fundraising ideas. Look for products that you know are in high demand and try and get local merchants to sponsor them to keep your costs very low. 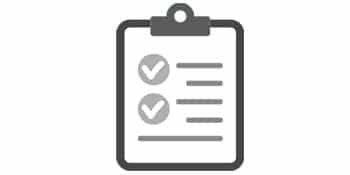 Display the items, have your supporters provide their bid, and at the end of bidding, complete the sales transaction with the person with the winning bid. Donation Letters: Send out sponsor letters simply asking local businesses to support your group by making a donation. 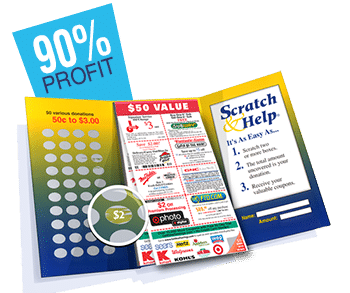 In return, businesses gain goodwill, and often get their logo placed on the group’s web site and physical location like the local sportsplex or school gymnasium. 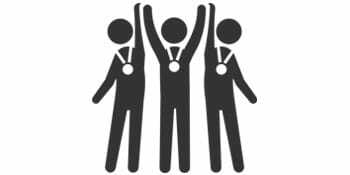 Service for a Donation: Other groups collect donations by offering a service and asking for an open ended donation - a good example is when you see Cub Scouts or athletes packing bags at grocery stores in return for a donation. It’s also a fun way to get the kids working for their funds. Online Fundraising Platforms: More recently, non-profits have been using online fundraising platforms to create their group web page and then solicit their social networks to collect online donations. Skip-a-Meal: Your supporters skip their regular lunch or supper, and instead donate those funds ($3-$20) to your cause. Organize it so it happens on a specific day, to make it a bigger deal and get more supporters. Walk-a-Thons and Read-a-Thons: Are a great way to encourage fitness and reading in your schools and community as a whole. Have your sellers request $1-$5 per mile travelled or per book read. You have no product costs, so you can earn a huge profit. 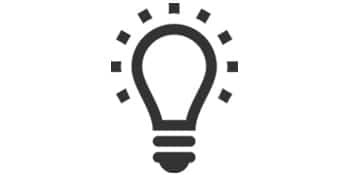 Have fundraising ideas that have worked well for your group? Please let us know! The pretzel rods are a fantastic fundraiser! They are flying out of the box, and there are many repeat customers. The $1050 we raised will help us pay for a trip to a youth conference in Florida. It was easy to do, since everything in the brochure is $7! We are so lucky to have such a terrific group and to have raised over $1000 for our team through the sale of Earth Candles! Seriously the quickest fundraiser we’ve ever done. We’ll do it again next year. A real no-brainer. Successful fundraiser with Cookie Dough and managed to raise over $2000. Our snack fundraiser went incredibly well! We raised $4922.50 in profit, and it was easy because $7 items sell well. The students found the candle fundraiser to be much easier to do then what was originally thought. We've recommended it to the Freshman class. My elementary school loved selling the cookie dough! We rewarded the kids with a huge Pizza Party! The funds raised helped a U10 girls traveling soccer team with registration costs, referee and team fees. The fundraiser was so easy and covered everything.